Very appreciated and valuable birds, compact built Common Quails are quite popular and spread in a lot of regions around the world. 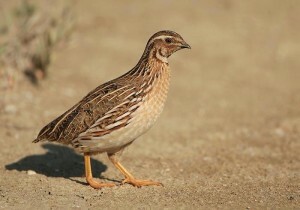 The habitat of the Common Quails is usually a field with either grains or tall grass, where they use as communication method a variety of calls. The triplet call is specific to the mating season, when the males use it in order to attract females. Due to their color pattern, these birds are pretty hard to distinguish from the rest of the background. They use this and, when they sense danger, they would rather run and hide, than fly away. During the warm season, the normal seed diet of a Common Quail is extended to insects, which are found in high numbers. A small part of their diet is also consisted of grass and grains. It is important to know for people breeding the Common Quail in captivity that the normal diet should contain no less than 22% protein. These birds are migratory, but their patterns are quite complex and are not fully understood. There are two varieties of the Common Quail which are mainly differentiated by size. One of them lives in the wild, while the other one is bred in captivity for eggs and meat and is larger than the first. Other varieties are referring to color schemes. One of them is the normal, wild colored variety, including black, red and brown colors. There are also the Manchurian Gold (colors include only gold and cream), White (solid white), English Black (solid black), Tuxedo (white breast and the rest is black) and Barred (black barring on brown background) varieties. The domestic Common Quail usually measures up to 7 inches long and the females are larger than the males. The body of a Common Quail is relatively round and the bill and legs are pretty weak, while the tail is short. The males have a black or brown anchor sign at their throat and females’ breasts are covered with spots. The color pattern of the rest of the Common Quail’s body is mottled and the underside is a bit lighter colored. The eyes of these birds are dark and each of them has a white stripe right above it. A lot of Common Quails have collar patterns colored white, but these are barely noticeable at females. The weak legs bear the color of flesh and the beaks can bear a wider range of shades, from olive to yellow. A bump on the male’s rump is the best way to distinguish a male from a female. The Common Quail breed is spread around the world, but mostly it can be found in mostly all Europe, South Africa, India and China. 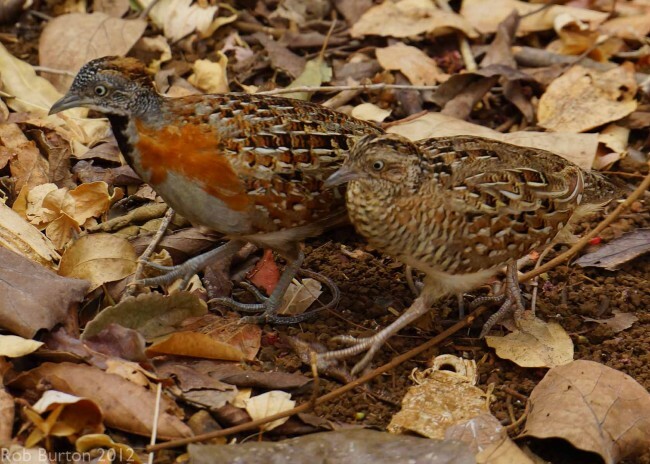 Different species of quails don’t normally breed with one another, but sometimes this does happen but with lower fertility. 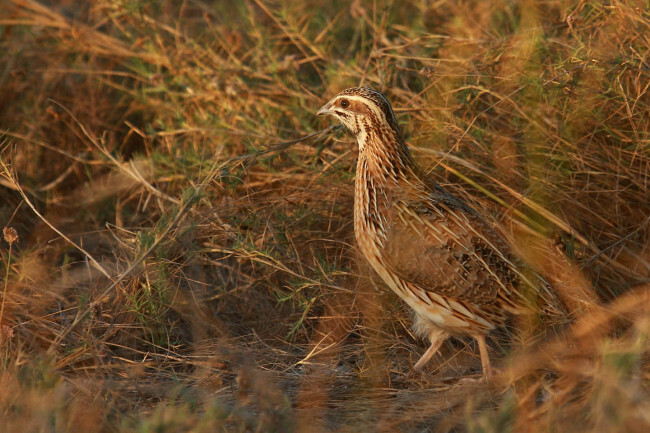 In Europe, hybrid quails are more likely to be found, due to many quails escaping from their farms. This has a negative impact from a genetic point of view, as it affects the purity and, at the same time, the fertility of the breeds. Two other names are used for the Common Quail: the Mediterranean and the European Quail. They have been hunted for a very long time for meat, but now they play a domestic role most often. The eggs are much appreciated and are considered to be a delicacy. 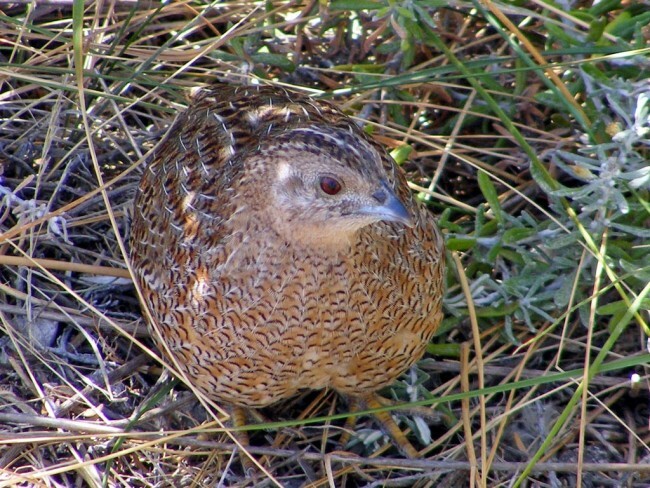 The care requirements of the adult quails are not very hard to provide. Protection from sun, wind and rain is the most important. There is a risk of them hitting their heads against the roofs as they have the instinct of flying straight up when danger is sensed. Short enclosures and wing clipping should help preventing these situations from occurring. The Common Quail males have a propensity for aggression, a good reason to keep only one male for every three females. Common Quails can be the source for a toxic exposure for people, although it is not clearly understood on which criteria it works. It is believed that this toxicity, going by the name of Coturnism, only occurs when certain genetic predisposition exists. Prolific breeders in captivity, Common Quails have a smaller desire to brood eggs, which makes an incubator recommended. When they are about six weeks old, the hens start laying eggs. 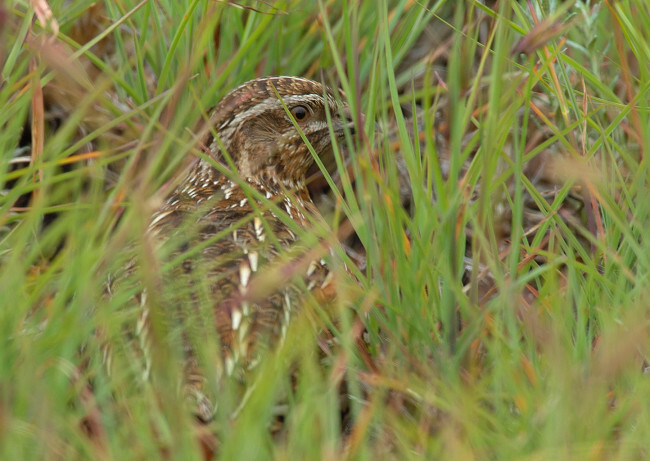 Early summer is usually the breeding season for the Common Quail and it comes naturally after a certain vocal ritual. Males outnumber the females, making the mating process a selective one. After that, between nine and fifteen eggs are laid in a small hole in the ground dug by the female and covered with vegetation, where they will incubated for up to three weeks. The chicks have very little resistance to cold, so they need to be kept warm at first, at around 37 degrees Celsius.